Keeping on top of your grow room conditions is paramount to any grower, the more you know the more you can change your grow room for the benefit of your plants and ultimately your final yield. 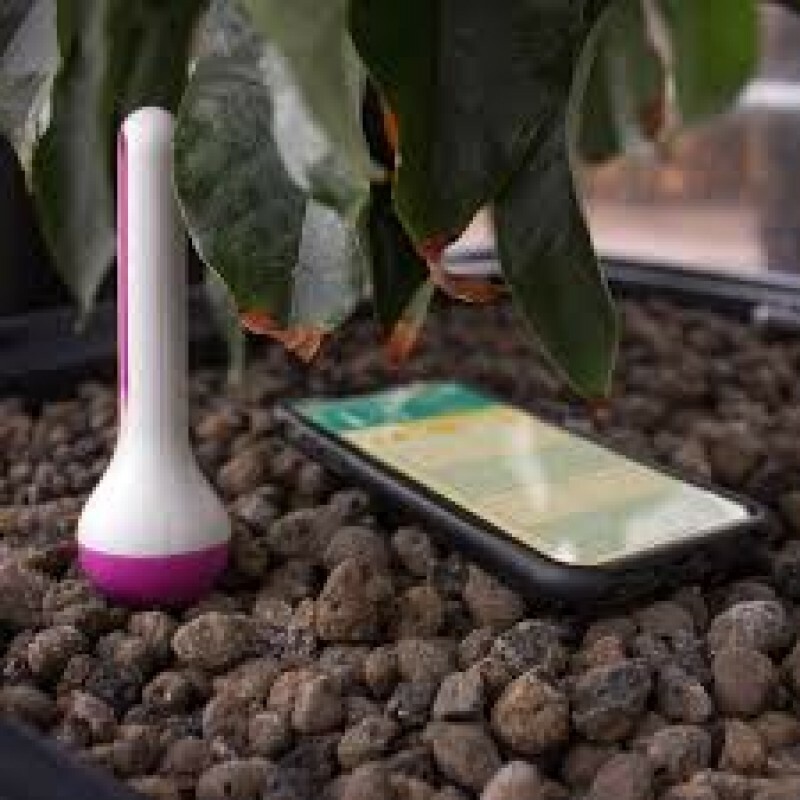 The award winning AirComfort keeps you up-to-date with your current and past grow room climate, recording all data gathered and sending it directly to your phone or tablet via bluetooth and downloadable app. Using the AirComfort and app you can collect grow room data for up to 100 days, even if you're not in bluetooth range for any reason, giving you plenty of time and knowledge to further refine your grow room climate to keep things stable, leading to happy plants that boast massive yields come harvest time. Getting your grow room dialled in to perfection has never been easier using the AirComfort. Once installed the AirComfort will send via bluetooth temperature and humidity levels directly to your iOS or Android device when in bluetooth range (around 10 metres depending on surroundings and obstacles). But don't worry if you're out of range, as the Air Comfort will store this information and send it to the app once you're back within range so, you'll never miss out on precious data. The AirComfort also stores this data long term, for up to total of 100 days, giving you plenty of time to further refine your growing area to get the best results possible. If you need to monitor more than one area, that's not a problem as the AirComfort app is able to connect with up to 32 different AirComfort units. Furthermore, each unit can be identified by icons or a personal image of your choosing separately for each and every unit in operation. 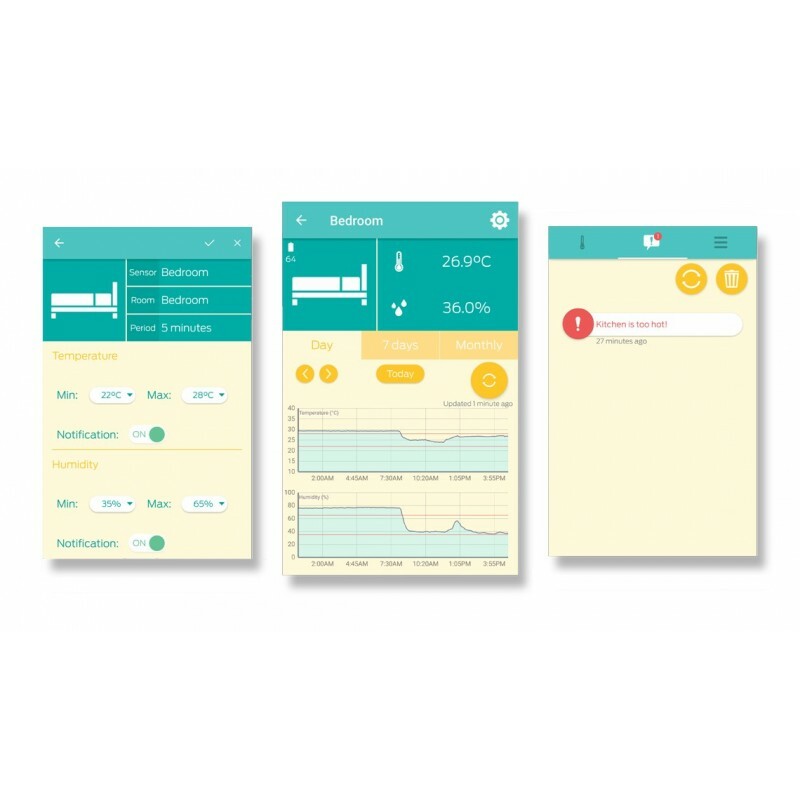 You can even set different alarms to alert you when there are changes in you grow room or rooms such as temperature spikes or humidity drops. Using the app, you can also set your measurement intervals (the time at which the AirComfort sends its data), this can be done between every 5 minutes and up to every 40 minutes or you can refresh the app manually, to get minute by minute information of your growing environment. Before placing the AirComfort in your growing area, download the app using the QR code included in the instruction leaflet or via the App store on Apple devices or via Goggle Play on Android devices. Once downloaded, insert the battery into the AirComfort unit by unscrewing the base, once fitted re-fit the base and place the AirComfort in your growing area. Once placed in your desired location, start the app, it will ask you to tap the "sync" icon on the screen to search for the AirComfort. Once connected a main menu page will appear from which you can select the AirComfort of your choice (if using multiple units). After a short period of time the app will begin to receive data from the AirComfort and over a longer period of time you will be able to accumulate more data, enabling you to refine your growing area further. Alerts can also be set on the unit from the main menu, simply select your high or low temperature or humidity alerts and press the tick icon to confirm. Please note: The AirComfort uses bluetooth to send information, so you need to be within a ten meter range of the device for that data to transmit and be received by the app on your phone or tablet. If you are out of this range or other obstacles are in the way such as walls, then the AirComfort will hold the information until you are back within bluetooth range and send it forward. Getting the environmental factors right in your hydroponic grow space is absolutely vital for succes..
Nutrient temperature measurement is via a thin waterproof probe. The Min/Max memory records the high.. Cold winter months can be tough on greenhouse plants. Struggling to survive in the frost a..
pdf LIGHTHOUSE LITE LightHouse® LITE is the budget tent, for the grower who want..
pdf LIGHTHOUSE LITE LightHouse® LITE is the budget tent, for the growe..
pdf LIGHTHOUSE LITE LightHouse® LITE is the budget tent, for the grower who wants no..
LightHouse LITE is the budget tent for the grower who want no frills. It offers a simple and lightwe..